Lena Dunham is planning to take her Golden Globes attire in a decidedly Gaga-esque direction. Check out an Instagram photo of what the Girls guru will be wearing! All “eyes” will be on Lena Dunham‘s Golden Globes dress come Sunday. It seems the Girls star and creator is promising to go all out in 2014, taking inspiration from a tater. Frankly, we’d like to see the celebrated nominee pull this look off in one way or another! Coincidentally, the HBO show’s third season kicks off on the same night as the awards ceremony. The 27-year-old has an extra reason to keep a close ear on the names being called from the podium in 2014: Her boyfriend extraordinaire, fun. guitarist Jack Antonoff, has also received a nod. 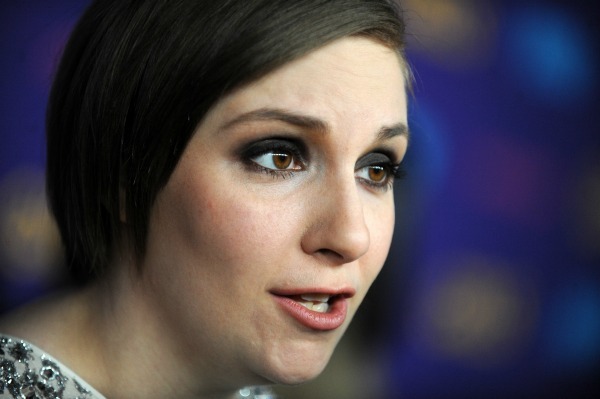 Tell us: Do you think Lena Dunham will go wacky or classic with her actual Golden Globes outfit?